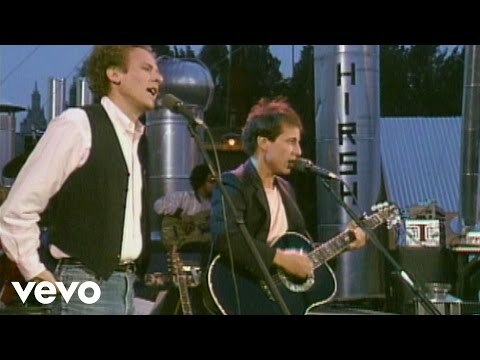 Affirming lives lost to HIV/AIDS in the early years of the crisis and the survivors who loved and cared for them (Boystown, Chicago 1985 to 1992; Paris 2015): While writing this, I’m listening to Simon and Garfunkel harmonizing America in Central Park, 1981. 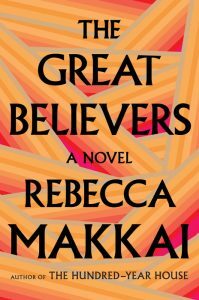 It was Nico’s favorite song, the pivotal character in The Great Believers whose death from HIV/AIDS in 1985, when Rebecca Makkai’s brilliant third novel opens, changes the lives of her two main characters – Yale and Fiona – forever. Nico’s searching-for-America song about lovers who felt empty and aching expresses much of the poignant, soulful tone of the novel. Timelines matter historically and fictionally. The year 1985 reflects well-conceived historical time markers when Chicago’s Boystown – America’s first openly accepted gay village – was not yet a “graveyard” like San Francisco and New York. Gay (and lesbian, men the first infected so the focus) bars and discos felt “safer, and happier.” That’s before the “slow-motion tsunamis from both coasts” hit. On the surface, The Great Believers may seem too depressing to read if you’re looking to escape an historical crisis assaulting human rights, discrimination, chaos, misinformation, fear. Actually, these familiar realties draw you in. Makkai is not afraid to tell it like it was, quite graphically at times, but she does so with great compassion and understanding, breaking stereotypes and finding silver linings. When love is “the point of everything” we empathize with those who suffered. Her prose is crafted with precision, strategically connecting characters over thirty years, making us feel connected by six degrees of separation, or less. Brilliant balancing lives cut short leaving holes in the hearts left behind, reminding us true Love and Art are everlasting. Nico’s death haunts Yale and Fiona. Both of their storylines involve art, Yale’s more substantially. Yale’s chapters are all-consuming, Fiona’s come thirty years later. Nico was Yale’s first friend when he moved to Chicago. Never lovers, these two gay men bonded over their mutual passion for art. Fiona is Nico’s sister; she disowned her parents when they disowned him. She mothered Nico like she does Yale, estranged from his actress mother, abandoned at three. “Being touched was Yale’s weakness,” sad and significant. The celebration is being hosted at Richard’s house. Fifteen years older than his guests, he’s a gay photographer always hanging around capturing their lives. It’s his Paris home, shared with his lover, that Fiona is staying at. Richard is now famous, readying for a noteworthy exhibition of his photographic art documenting the AIDS epidemic, which means Fiona’s past merges with the present. Also in 1985: Ryan White, a brave teenager with a blood disorder was denied admission to middle school. He called international attention to how the virus also spread. His activism helped turn the tide. His name appears in the novel. So does Rock Hudson’s, the handsome, wasted-away actor who died in 1985, succumbing to the disease he’d hidden from his adoring public. Still, it took two more years for Ronald Reagan to acknowledge the crisis. He’s here too, along with the growing anger towards his administration’s inaction. Though this was also the year when the FDA approved a blood test for HIV/AIDS, the test Nico took. Not everyone did. Infected meant you’d die back then (100 drugs are available today, making the dreaded diagnosis not the seal of death). Yale is torn up about the blood screening. Who wants to know you’re going to die soon? What about one’s moral obligation to know so you don’t infect others? It takes 100 of 400+ pages to detail 1985 to 1986. Nico’s death comes at the same time Yale’s art career as development director of a fictional new gallery at Northwestern University, the Briggs, is taking off. (The Block art museum is the real one.) It may be one of the few places the Chicago author invents, perhaps because she teaches creative writing there. Real places and real events are planted throughout; the rest fictional. Fiona’s Paris is also intertwined in Yale’s story: Nora, ninety years old, a former artist’s muse and artist herself in Paris before and soon after WWI, has chosen Yale to navigate and curate her beloved art collection she wants to bequeath to the Briggs against her family’s desires. The collection comprises sketches, drawings, and paintings by Italian, French, Russian, Bulgarian, and Japanese artists such as Modigliani, Hébuterne, Soutine, Pascin, Foujita, and a total unknown, Ranko Novak. You won’t have to wait too long to find out why she picked Yale; Ranko’s mystery intriguingly stretches out. Yale is kind, diplomatic, and very good at what he does. Nora now lives in Wisconsin, so he travels often (with several Briggs characters) to negotiate this delicate transaction. The collection has to be authenticated and valued. It could be worth two million or more, putting the Briggs on the map and cinching Yale’s career. As Nora’s backstory is disclosed little by little, Yale becomes committed to carrying out her specific wishes. Nora is dying, so his travails and sacrifices add more suspense. We’re already turning pages to see what happens to Yale’s health. Meanwhile, Yale is also dealing with his obsessively possessive, long-time lover, Charlie, an activist who runs a fictitious gay newspaper inspired by real ones. Makkai’s gay characters come from Cuban, Jewish, Mormon, white, and black heritages. Besides creative careers, others include philosophy and law. Nora, on the other hand, works at a resale shop that provides funds to the Howard Brown health center, which established Chicago’s AIDS hotline, notably in 1985. Founded by gay medical students, it’s one of our largest LGBTQ organizations, providing “life-affirming” care. The Great Believers affirms life too, by affirming lives lost and the survivors who loved and cared for them.